Like you, we love audio and want our gear to sound the best it can possibly sound without spending a fortune. 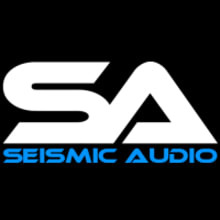 Seismic Audio was founded by Steve Acree with the goal of selling quality gear well below traditional retail prices. The name Seismic Audio is derived from Steve's initials. We are a company based in Memphis, TN, dedicated to making the established musician sound their finest. We are also devoted to making the musician who is low on cash, but still needs to sound their best achieve just that. We work hard to bring the customers back. We treat people the way we would like to be treated. 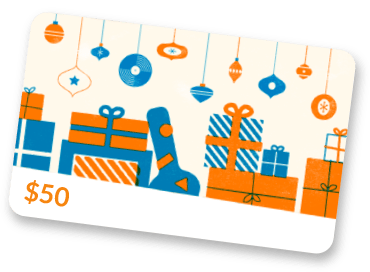 Our goal is to get our products in every musician's hands and let them decide for themselves if a $500, $600, $700, or $1000 DJ speaker is really necessary. We are confident musicians will realize they do not have to spend large sums of money to sound amazingly good. After researching the pa speaker and floor monitor market, it became very clear that consumers were swayed by the marketing tactics of big brand name DJ speaker companies. Yes, these big pa speaker companies make great products. However, they charge big money in order to make big profits and pay for their big marketing campaigns. Our goal is to prove to the consumer that quality pro audio speaker equipment can be affordable and that the $1.00 logo found on the front of a band speaker does not mean it is the best speaker on the market. We want consumers to receive superior pa speakers and not pay for well marketed brand names. Seismic Audio offers a variety of unique speaker cabinets and music related gear at affordable prices. Don't let the prices deceive you. Just because we are less expensive than the big brand name speaker companies, does not mean quality has been compromised. We eliminate other expenses that the big companies carry. We are strictly an Internet based pro audio company. By dealing on the Internet, we are able to eliminate the expenses a traditional business would have. When buying from Seismic Audio you are buying directly from the owner of the brand. We have no middle man and are able to offer our speakers at wholesale prices. Our mission is simple: to provide a one stop shopping experience for all musicians to purchase the best, most affordable Pro Audio gear. We offer products that cater to everyone from the DJ that is just starting out to the seasoned musician and sound engineer. Whether you are a DJ that needs DJ Speakers, an establishment that needs PA speakers for Public Address, a KJ or Karaoke Jockey that wants the highest quality, most affordable loudspeakers, or a sound engineer that needs power amplifiers, snake cables, audio cables, or patch cables, think Seismic Audio. We guarantee a pleasurable shopping experience, outstanding customer service, and bang for the buck, the best PA Speakers, DJ Speakers, Subwoofers, Floor Monitors, and Pro Audio accessories.